David H. Kim, M.D., D.D.S. and Jee H. Ha, D.D.S. Whether you need oral surgery, jaw surgery, facial surgery, BOTOX®, or dermal filler injections, you can rest assured that our experienced board-certified surgeon and caring staff will help you through the process comfortably. We have been serving the areas of Long Beach, Lakewood, Cerritos, Los Alamitos, Rossmoor, Seal Beach, Artesia, Bellflower, and even South Bay since 1965. Our office is equipped with digital radiography and the proud home of a low-dose, cone beam CT 3D Extraoral Imaging System by Carestream Health. We genuinely hope this site is helpful to you in learning more about our practice, oral and maxillofacial conditions and treatments, recommendations, and aesthetic medicine. 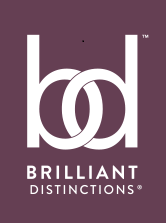 For our patients who purchase Allergan products such as BOTOX, Juvederm, and Latisse, we are part of the BRILLIANT DISTINCTIONS trademark program of Allergan. Earn coupons from Allergan for discounts on treatments in our office. For more information and to become a member of the free program, click on the BRILLIANT DISTINCTIONS box below. Long Beach Oral Surgeon, Dr. David Kim is dedicated to oral surgery such as Dental Implants, Oral & Maxillofacial Surgery, aesthetic medicine and more.